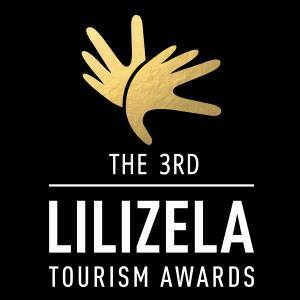 Inyati Game Lodge, Sabi Sand Game Reserve – Winner of the Wildlife Encounters category @ the Provincial Lilizela Tourism Awards 2016 – Mpumalanga. 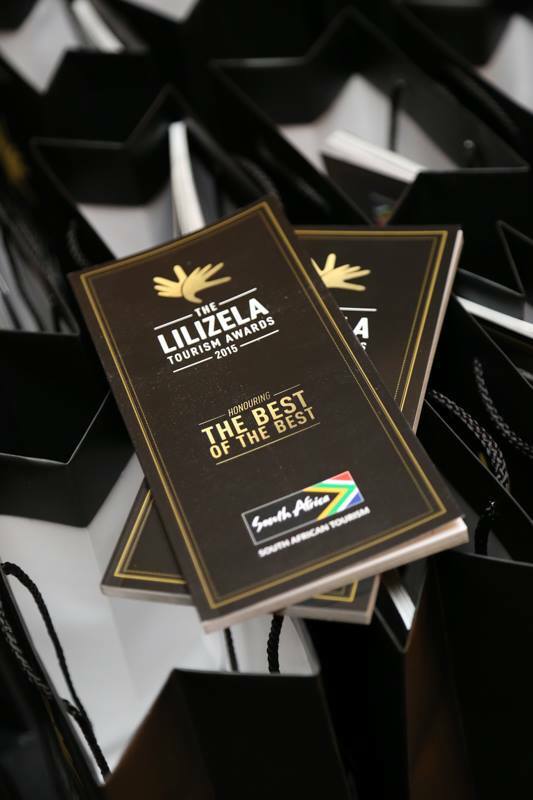 Billed to recognise only the best in the South African tourism industry, the Lilizela Tourism Awards aim to recognise and reward the highest levels of excellence in the tourism value chain. 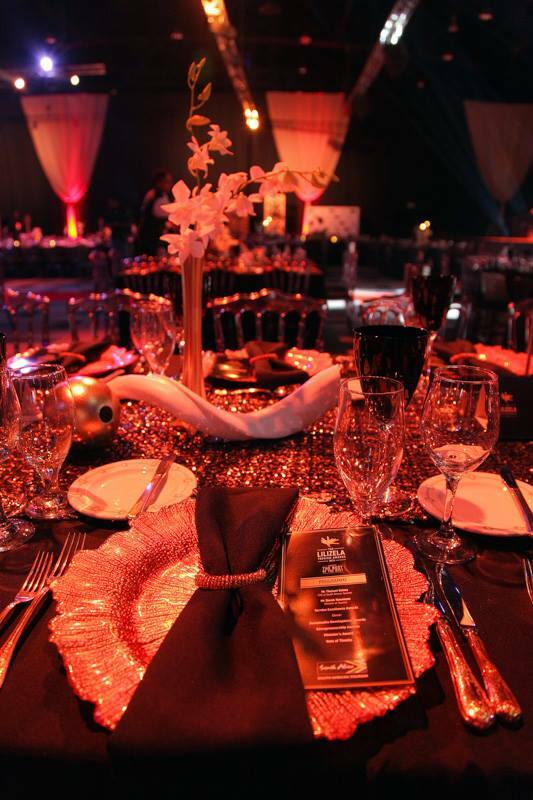 They are the ultimate reward for entrepreneurial and service excellence that sets global benchmark standards. The National Winners will be announced at the Sandton Convention Centre, Johannesburg on 16th of October 2016. 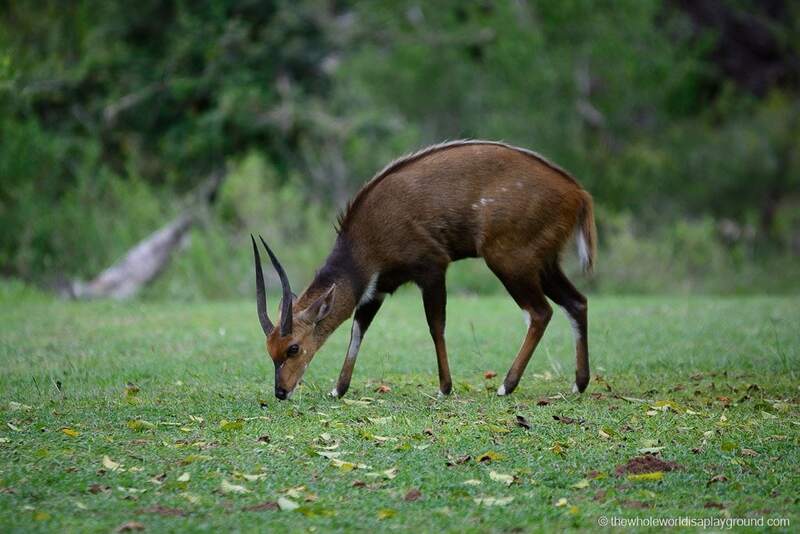 Inyati Game Lodge, Sabi Sands: the perfect South Africa Safari! 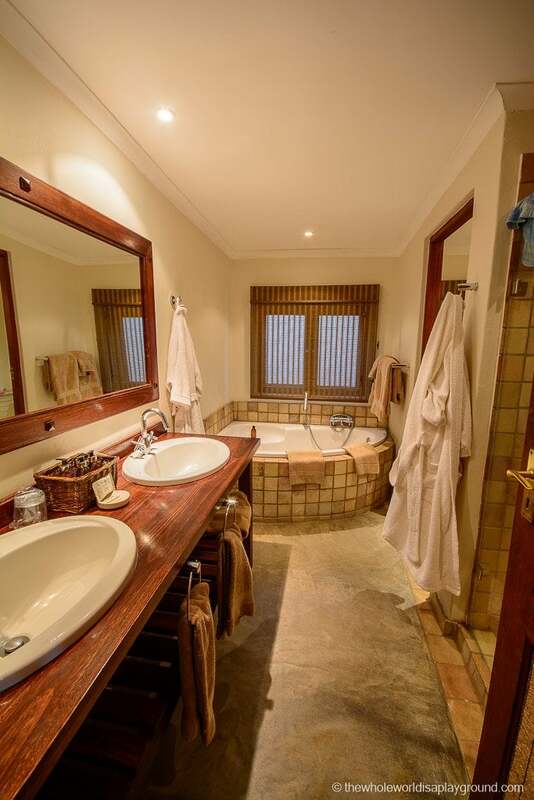 From the second we came across the Inyati Game Lodge in our search for the perfect South Africa safari accommodation we were certain it was the perfect luxury safari retreat for us. We had a short and undemanding list of requests: luxury accommodation, good food, drinks and company and the best chance of sighting the big 5. It’s not much to ask really! After a glorious morning spent exploring the Panorama route we arrived at Inyati. With its amazing rooms, fantastic rangers and the gorgeous surrounds of Sabi Sands we knew we were in for a treat on our first South Africa safari. 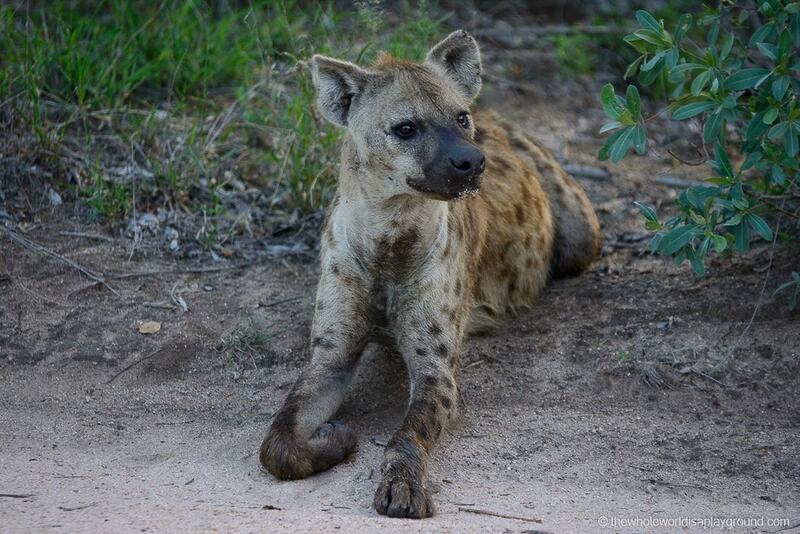 We couldn’t wait to experience the best of what Inyati and Sabi Sands had to offer! 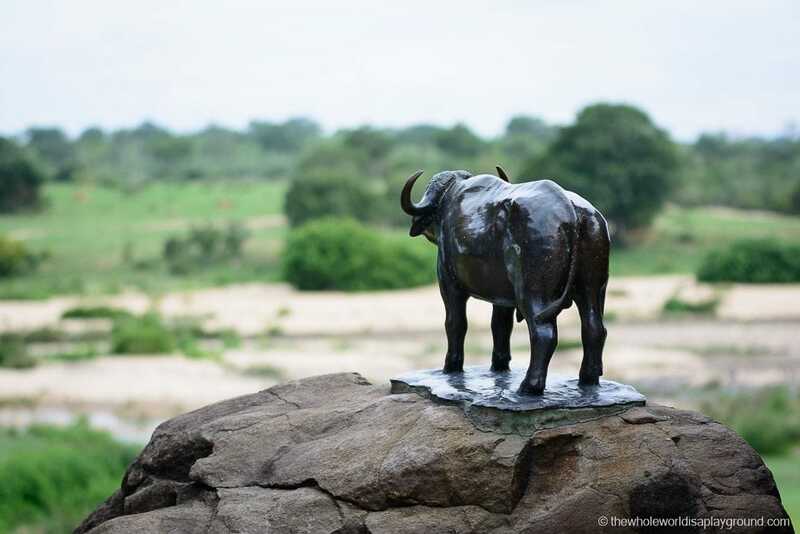 The Inyati Game Lodge is located deep within the Sabi Sands Game Reserve and is situated on the banks of the Sabi River. After a morning of sightseeing on the Panorama route we couldn’t resist the safari call any longer and set off for our stay at Inyati. 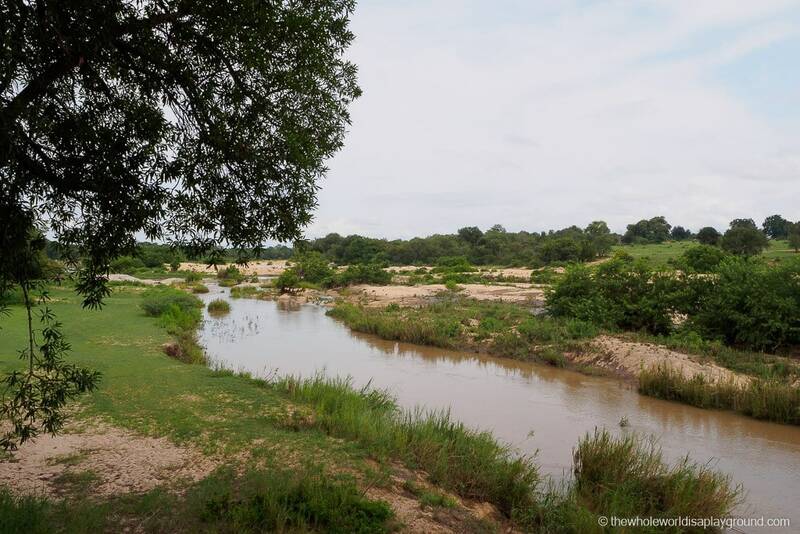 The heavy, end of summer rains had taken their toll on the gravel roads and it was a slow and bumpy ride to the Newington Gate of the Sabi Sands Game Reserve. The drive was soon forgotten as we turned the corner into the entrance of the gorgeous Inyati where the reception staff had assembled to greet us and whisk our luggage away. Welcome drinks awaited us and we were instantly transported into holiday mode! Bliss! As we sipped our drinks we finally had the chance to absorb our incredible surroundings and we were absolutely blown away! 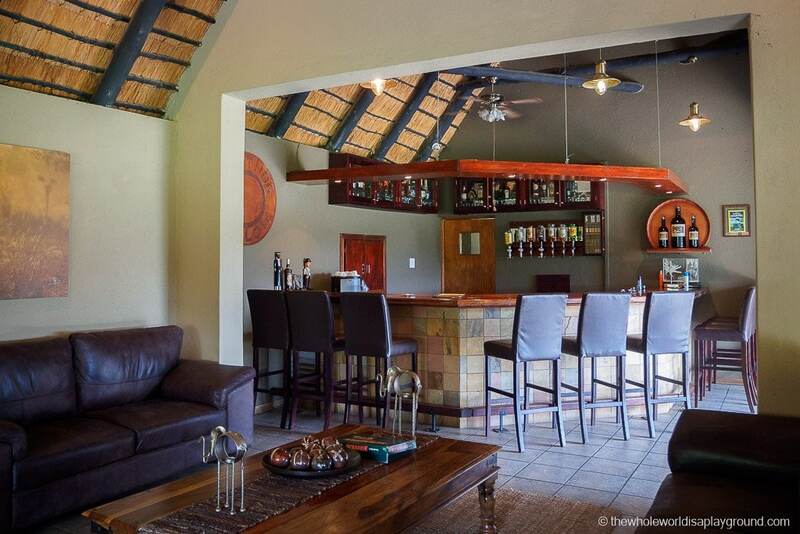 The lodge itself is stunning and the African decor blends seamlessly with the surroundings of the Sabi Sands bush. 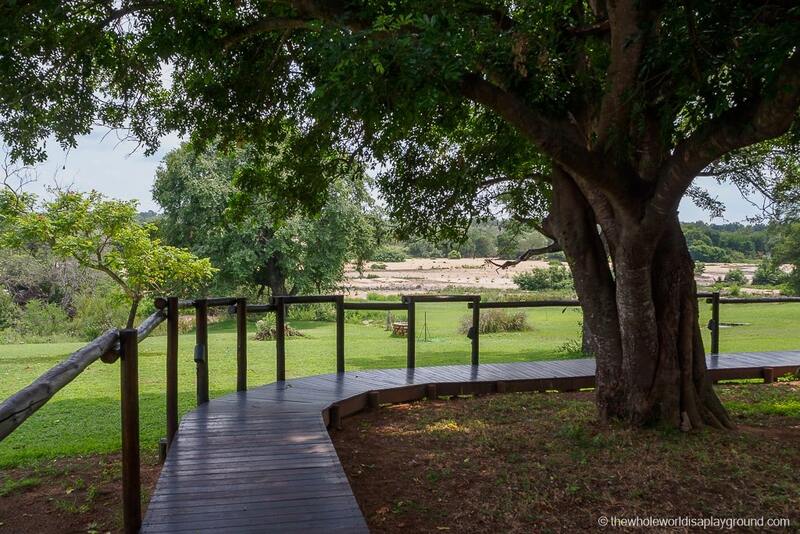 The focal point of Inyati is the main lodge with its chill out lounge area and terrace and the views over the Sabi River are mesmerising. It was time to check out our safari home and we were escorted to our Chalet, No 1, to settle in and freshen up before our first game drive. 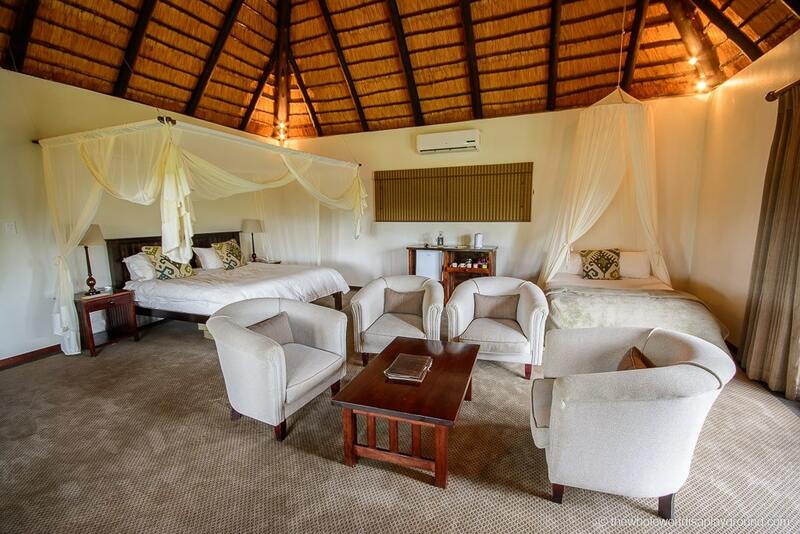 With only 11 rooms the lodge is intimate and luxurious, with the chalets dotted in clusters around the main lodge. We opted for a family chalet as we were travelling as a trio with my lovely mum accompanying Dave and I on the trip. 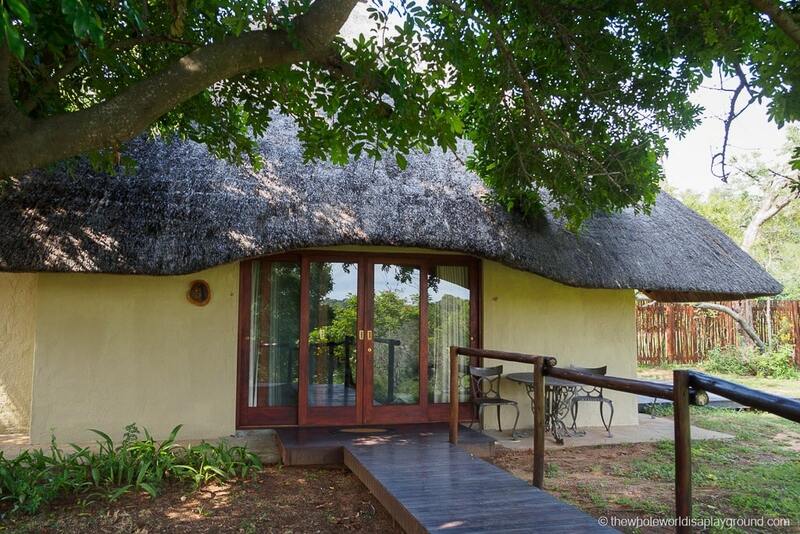 Our chalet was perfect and we instantly felt at home in Inyati. The room was spacious and we were spoiled with a huge King Size bed and two spacious doubles, one of which Dave used to tuck his beloved camera equipment in at night. Seriously! The room was equipped with everything we’d expect from 5* accommodations: a walk in closet, a generous sitting area, a well equipped mini bar and a beautiful bathroom. We knew we were in for a treat! 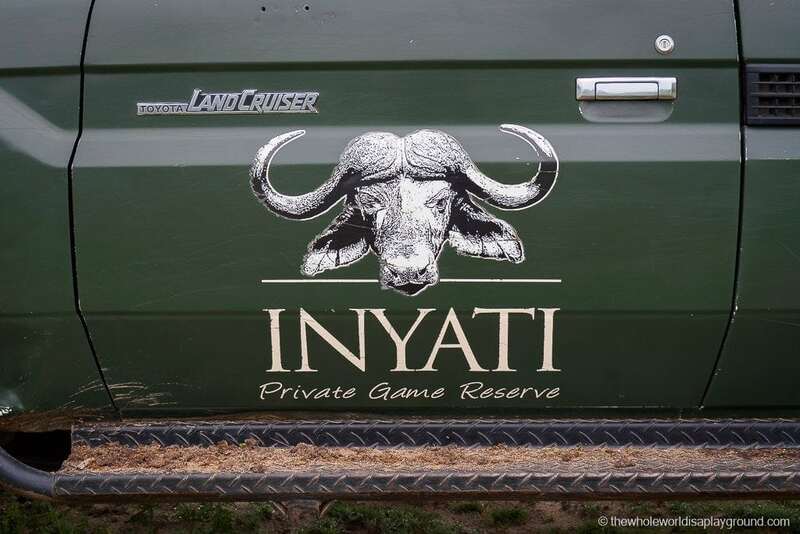 The quality of the game drives and the frequent reported sightings of the Big 5 were the main reason we opted to stay at Inyati. 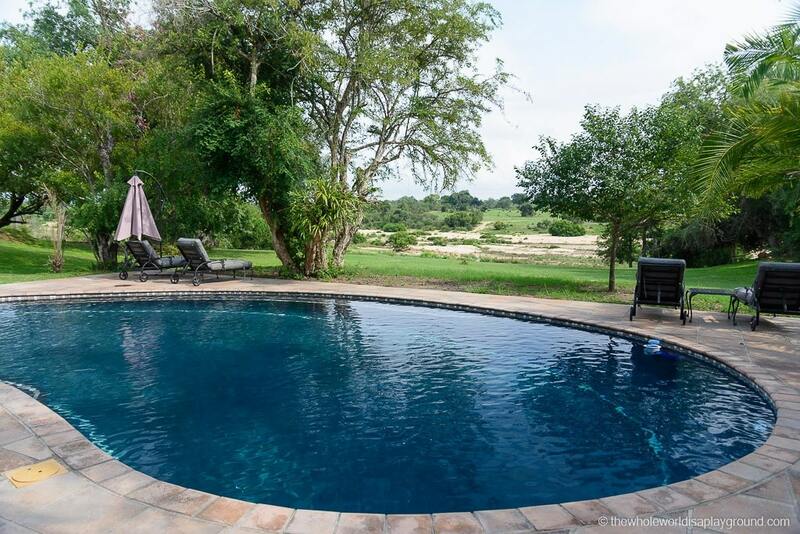 Inyati is located in the Sabi Sands Private Game Reserve which shares an open boundary with Kruger National Park meaning the animals roam freely between the two. 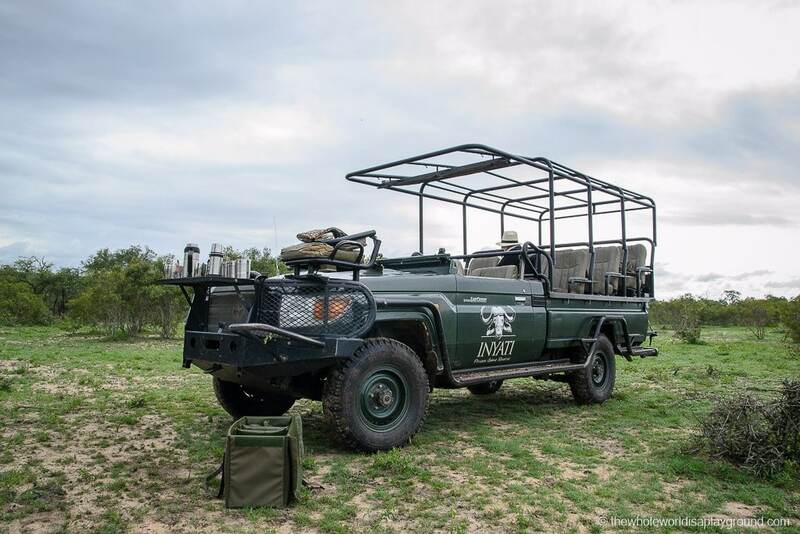 Game drives take place in an open topped truck and the vehicles are allowed to go off road to get closer to the animals. 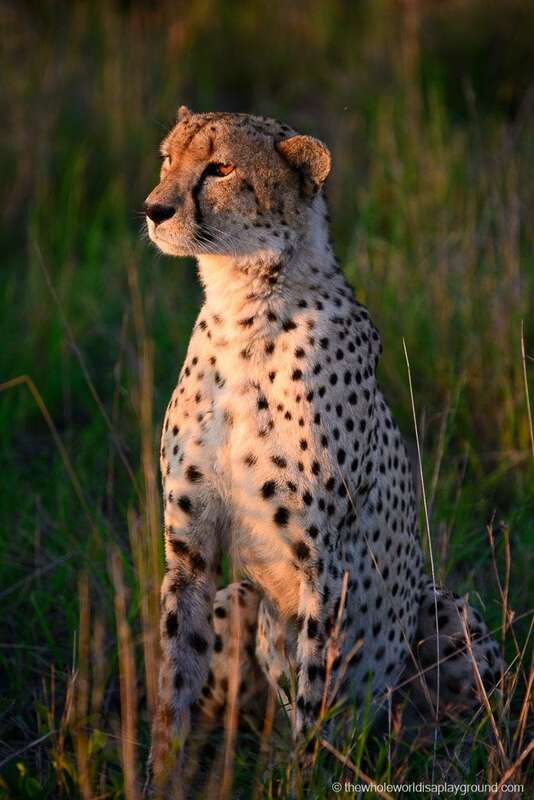 It’s widely accepted that Kruger and Sabi Sands offer some of the best game drives in Africa, with Sabi Sands being particularly renowned for leopard spotting. 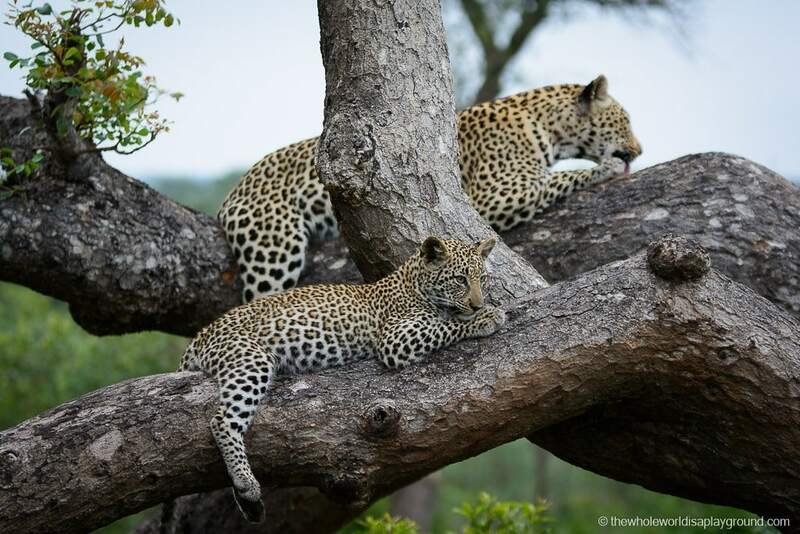 It’s said the leopards are more relaxed in the Sabi Sands surroundings. Our pre lunch arrival on day 1 allowed us to enjoy four game drives, two morning and two evening, during our two night stay at Inyati. Morning drives required an early start with a 5am wake up call courtesy of a gentle knock on the door from our lovely guides! 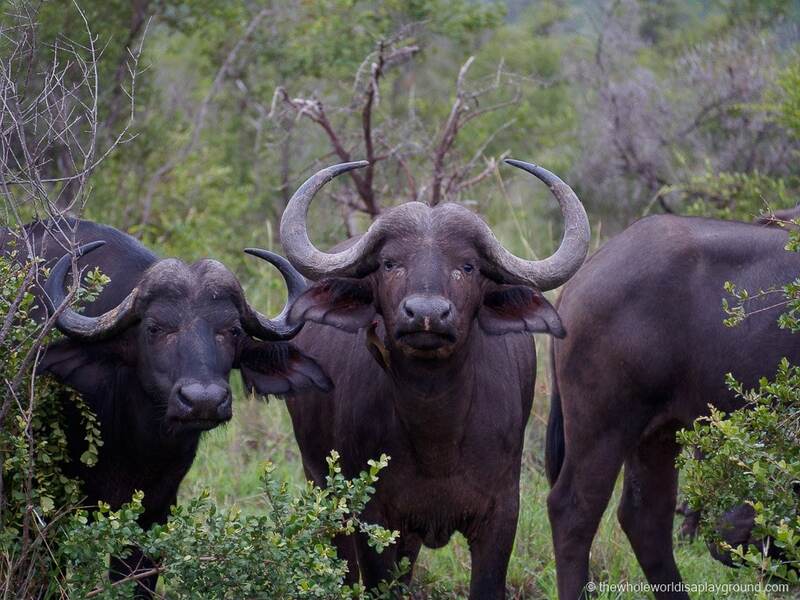 There’s only one word to describe our game drives at Inyati: INCREDIBLE! Cheetahs, lions, leopards, elephants, giraffes, zebras, rhinos, buffalos, impalas, hippos, hyenas, wildebeests, warthogs, dung beetles, lizards and vultures. 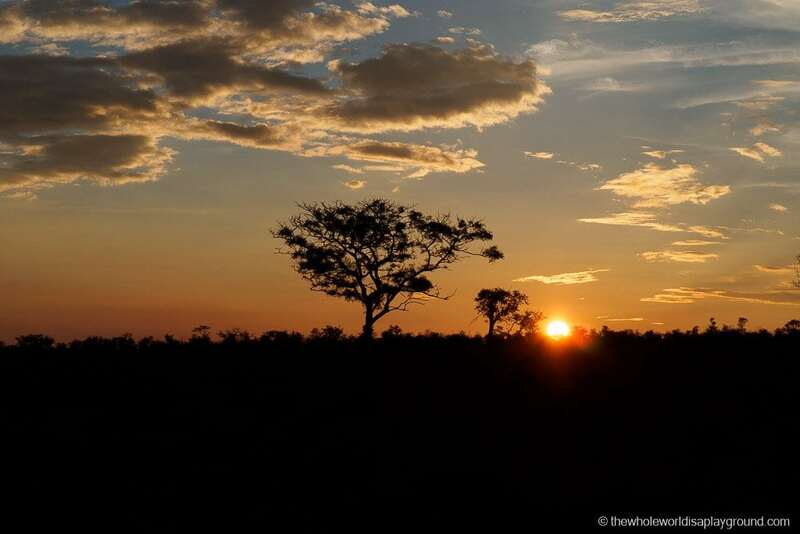 Our ranger George and tracker Solly were amazing in their pursuit to show us everything the Sabi Sands bush had to offer. 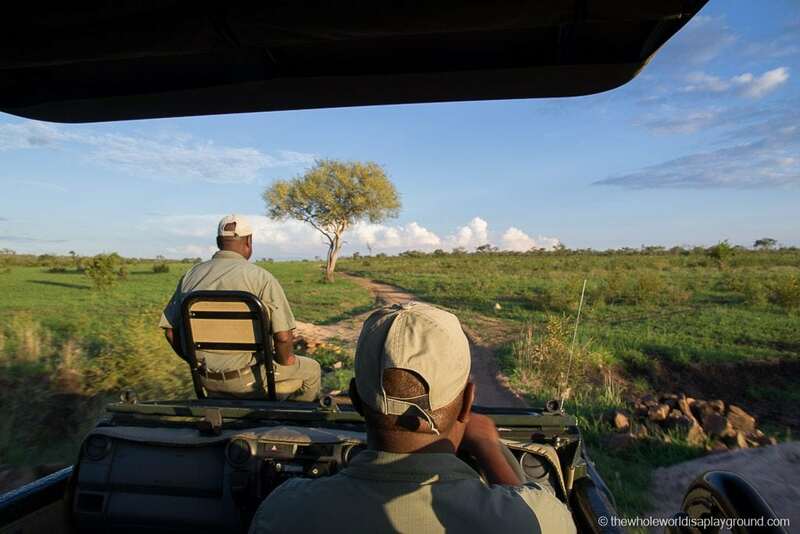 Our memories of our Inyati game drives are like scenes from a movie. 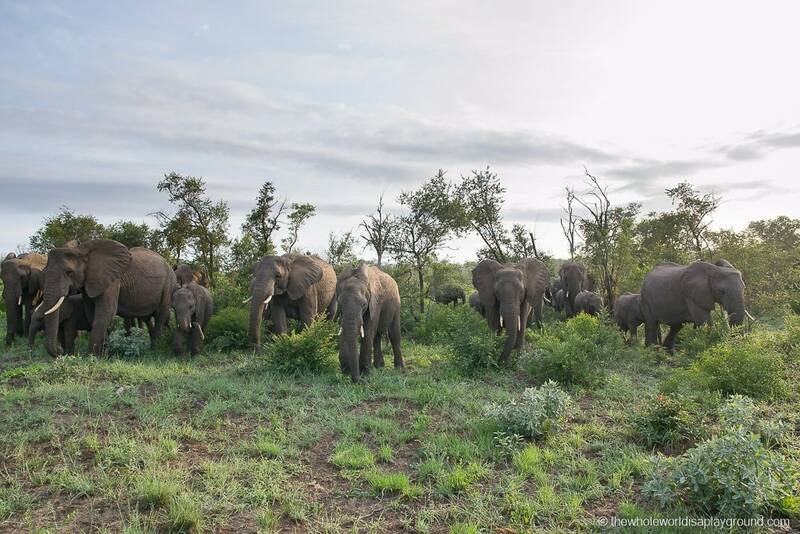 It’s difficult to narrow down our favourite moments but sitting in the middle of a herd of 40 elephants as they made their way through the bush is one of our highlights. I still have to pinch myself when I think of that moment! 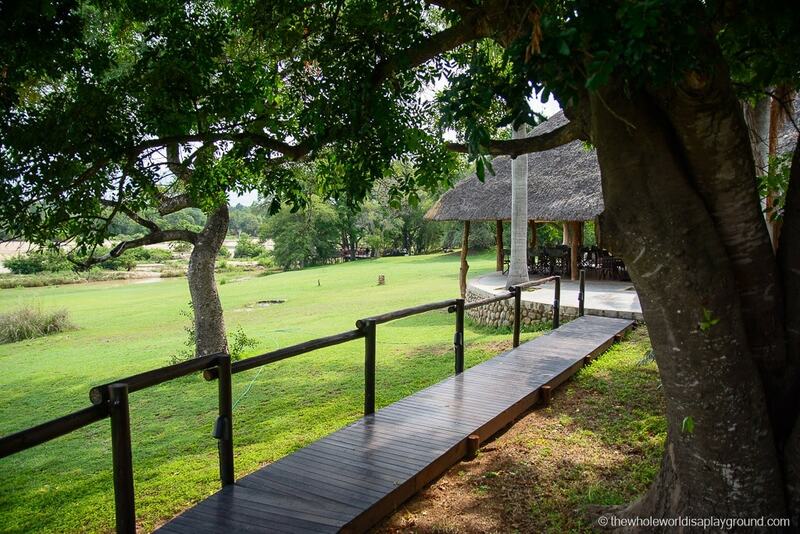 Inyati is an unfenced game lodge meaning the wild animals can wander in and out of the property as they please. This was a real treat although it did mean that all our night time movements outside our room had to be accompanied by a ranger! 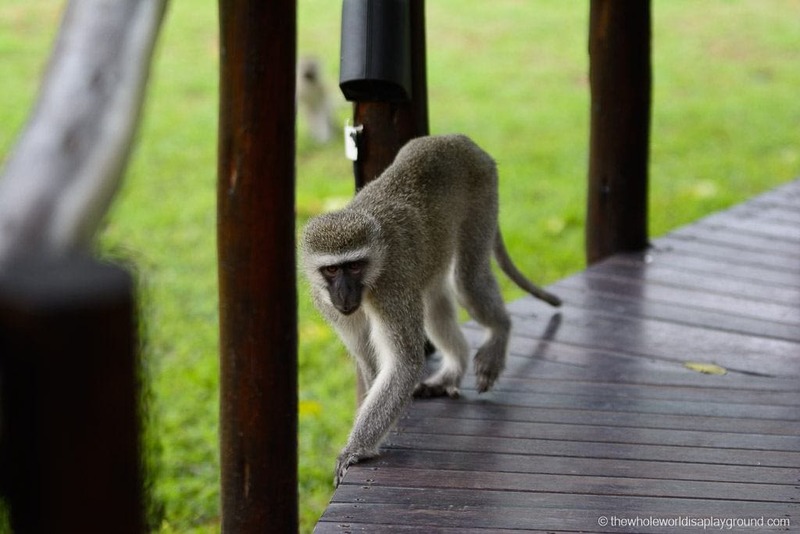 We woke up from a post breakfast nap to find a troop of monkeys with some bushbuck wandering among them on our private veranda. One of the monkeys went so far as to try and open our door and we were glad we’d heeded our arrival warning of locking the doors at all times! 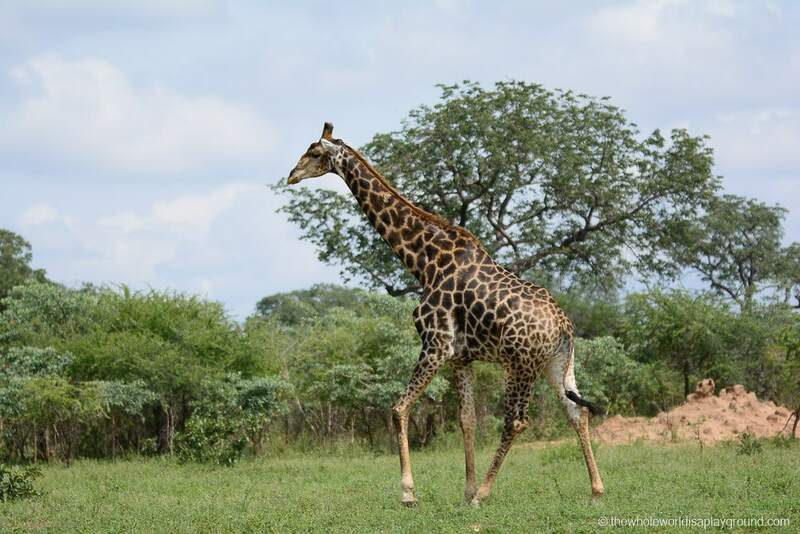 Another highlight came as we were leaving the lodge and a family of giraffe rambled alongside us! Returning guests regaled us with tales of lions wandering through the grounds on their previous stay but we weren’t so lucky. Here’s hoping for next time! Do you mind if I come in?! 5:30am: pre game drive breakfast of pastries, fruit and museli served with tea, coffee, water and fruit juice. 7:30am: morning tea in the bush! 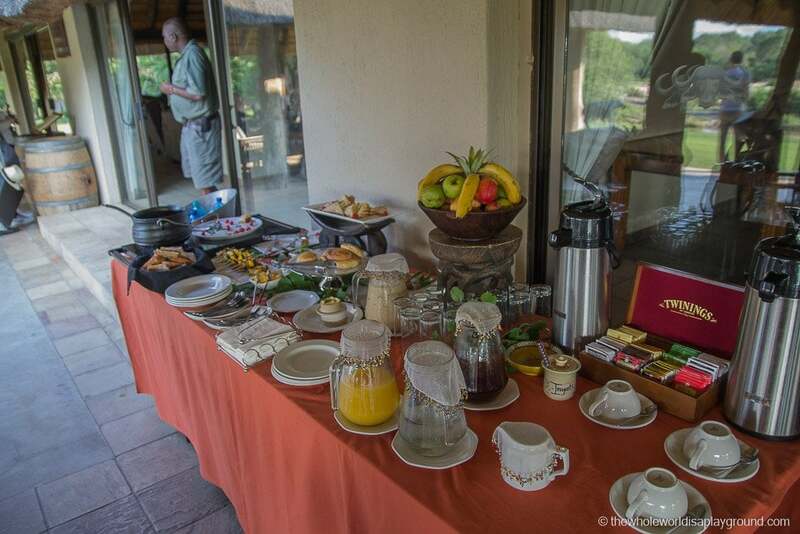 Flapjacks, tea, coffee and biscuits during a quick bush stop on the morning safari. 9am: post game drive brunch with a delicious selection of cold and hot foods where we munched on salads, fruits, sausages, eggs, pastries and cereals. 1pm: a small lunch menu with toasted sandwiches and a snack is available during the day. 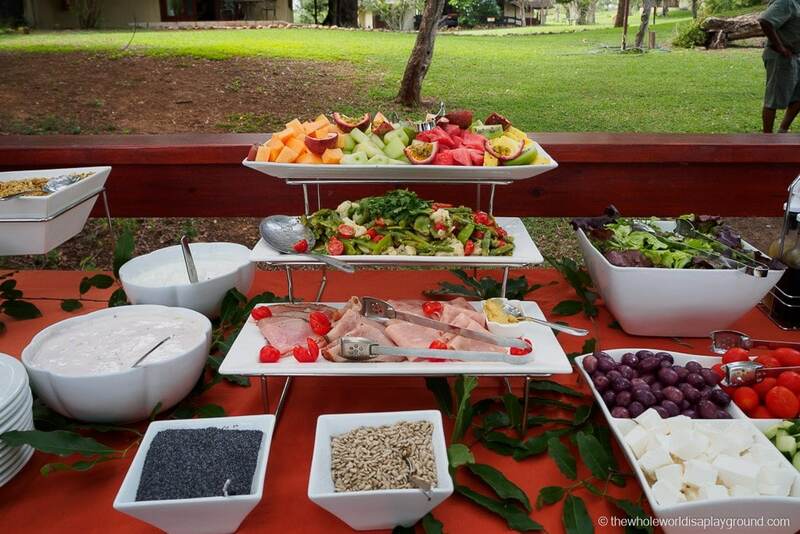 Given the late breakfast indulgence it’s geared towards the arriving guests! 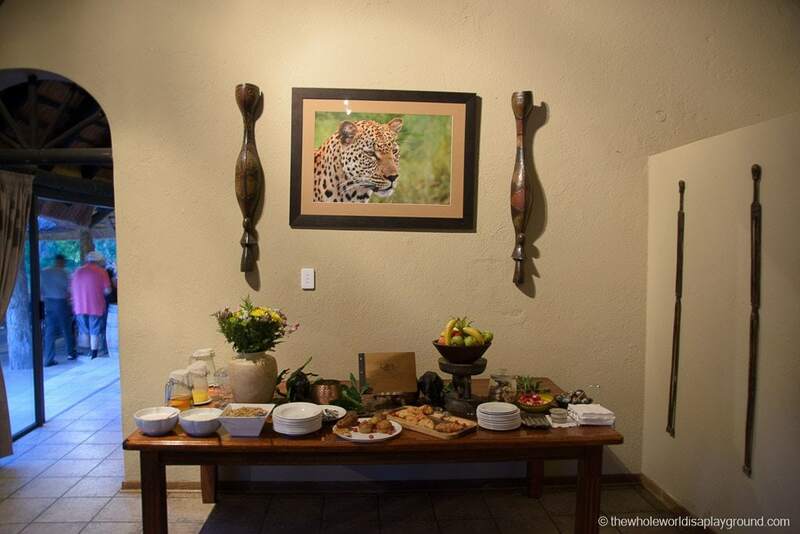 4pm: afternoon tea is served prior to the evening game drive. 6:30pm: the highlight of the day for us! Sundowners and savoury snacks watching the sun go down in the bush. 8pm: dinner time! Dinner was a 3 course communal affair with delicious soup, meat, fish, vegetables and salads choices plentiful. One of the highlights of our dining at Inyati was the rotating locations the team used. 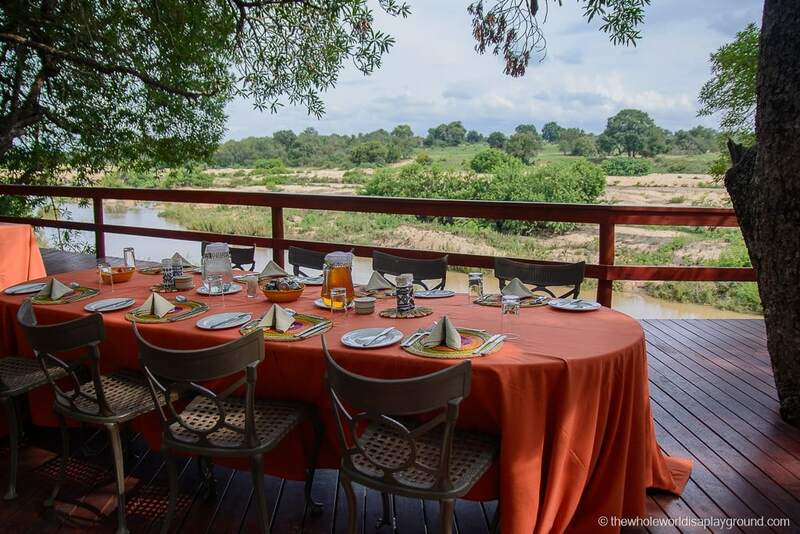 We enjoyed breakfast and dinner on the main terrace during our first meals but the real highlight was the outdoor dinner in the Boma, where at one point the background noise was a pride of lions roaring, and breakfast on the river terrace! 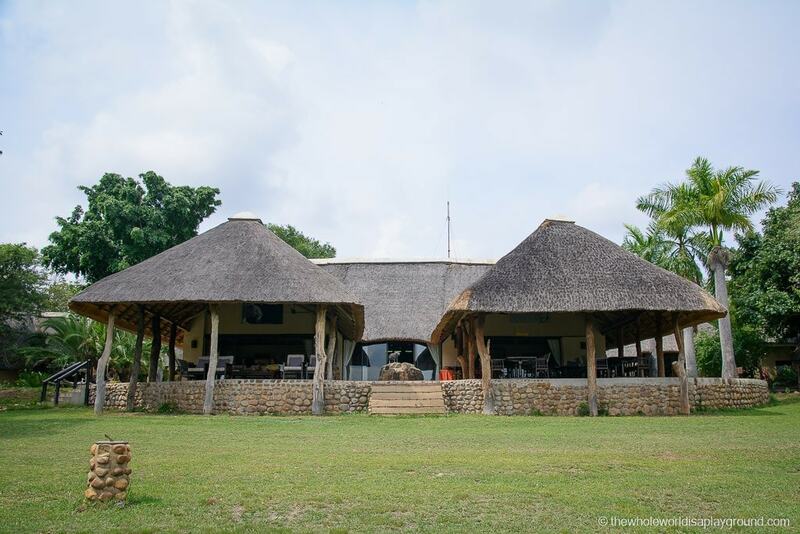 For us, staying at Inyati was all about the safari experience but the surroundings and facilities did much to add to our stay. The communal guest areas are beautifully equipped with relaxing seating, books and a television. A small gym is located on site and the outdoor pool is a lovely spot for relaxing between the drives. Limited wi-fi is available around this main spot but it is very slow and this was a common occurrence across most of our South Africa travels. With all that was going on we weren’t bothered about having wi-fi so it wasn’t an issue! 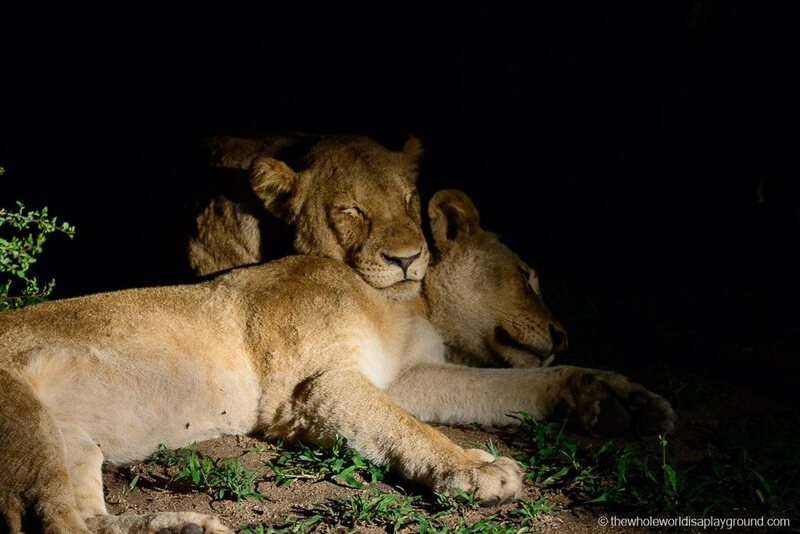 We absolutely adored our stay at Inyati and from the moment we crossed the Newington Gate to enter Sabi Sands we were instantly transported into another world filled with the delightful sights and sounds of the South African Bush. The Lodge and its staff were incredible and we were totally spoiled for every second of our 2 nights in Inyati. 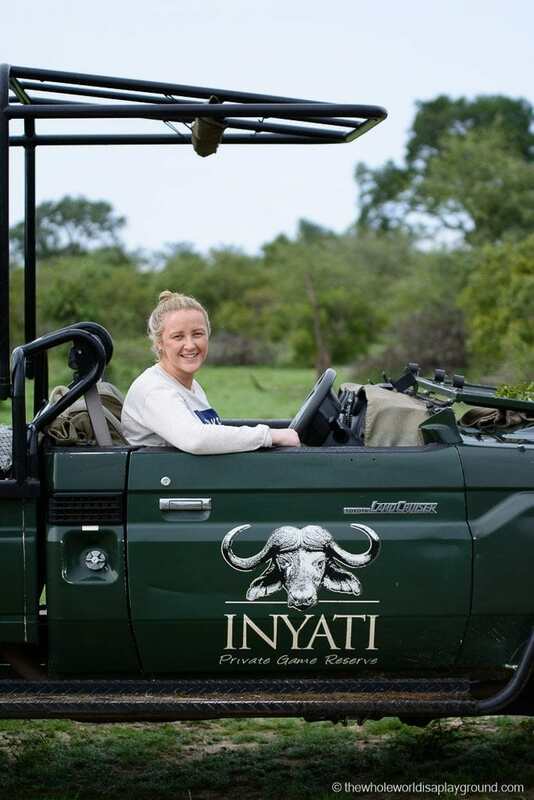 Staying at the lodge is a luxurious experience but the real star of the show is the Inyati game drives: the rangers and trackers are warm and funny and have an amazing safari knowledge allowing them to answer every random question we came up with! Of which there were many! Our dream of seeing the Big 5 was quickly realised and we made incredible bucket list memories which still give us goosebumps. 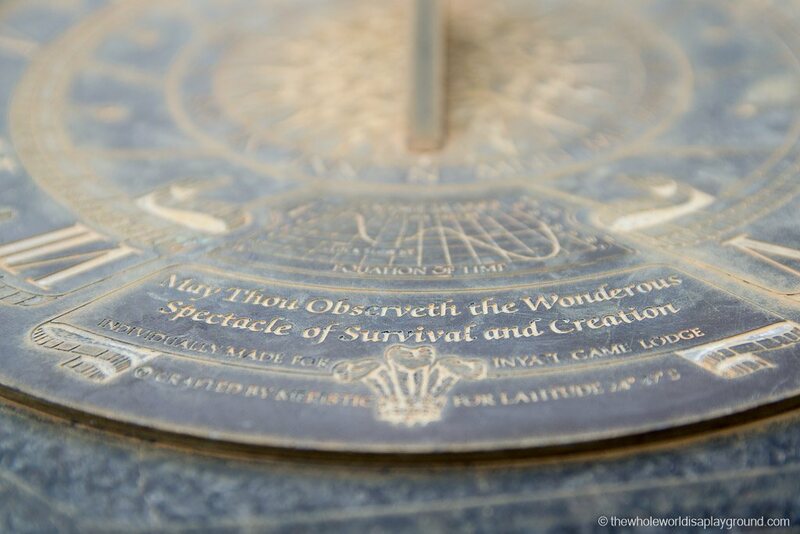 The private game reserves of Sabi Sands come at a price and we spent a lot of time considering our safari options. 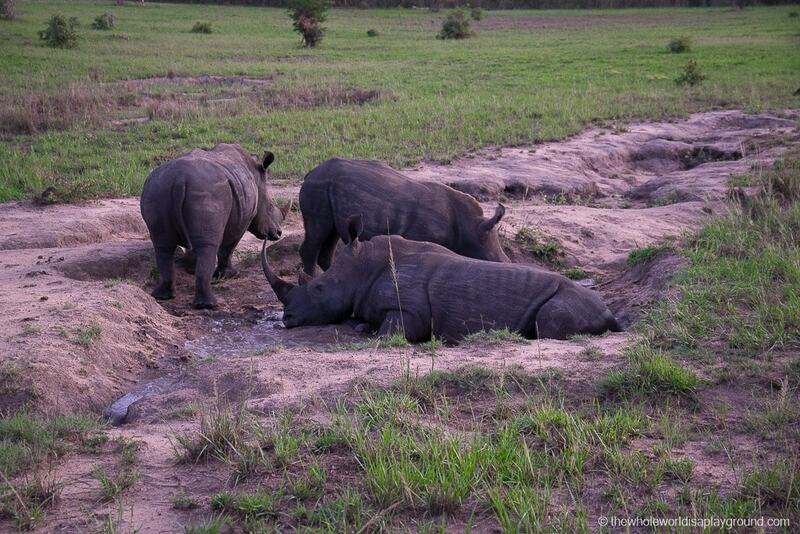 For us, the luxury, the experience and the private game drives are worth the extra cost. We couldn’t think of a more perfect spot to spend our first safari experience and, despite our reluctance to visit the same place more than once, we really, really hope to return to Inyati in the future! 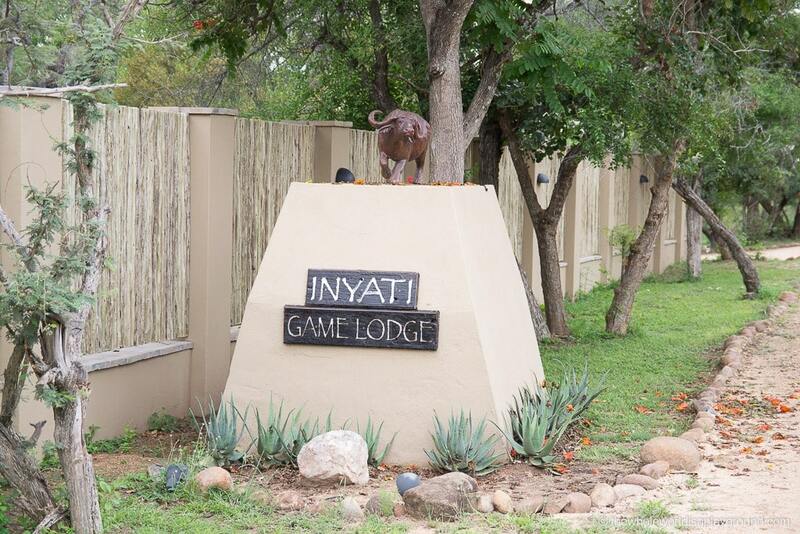 Disclaimer: Inyati Game Lodge provided us with a media rate during our stay. Our opinions, as always, are our own. 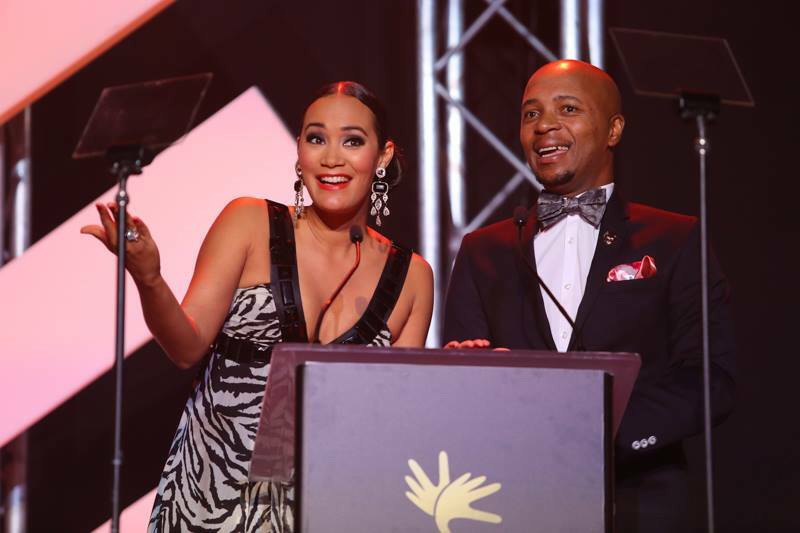 The South African Tourism Industry spent the better part of last night honouring the crème de la crème of the sector. The industry hosted by the esteemed Minister of Tourism, Mr Derek Hanekom, were treated to an evening of splendour and entertainment from local musicians. 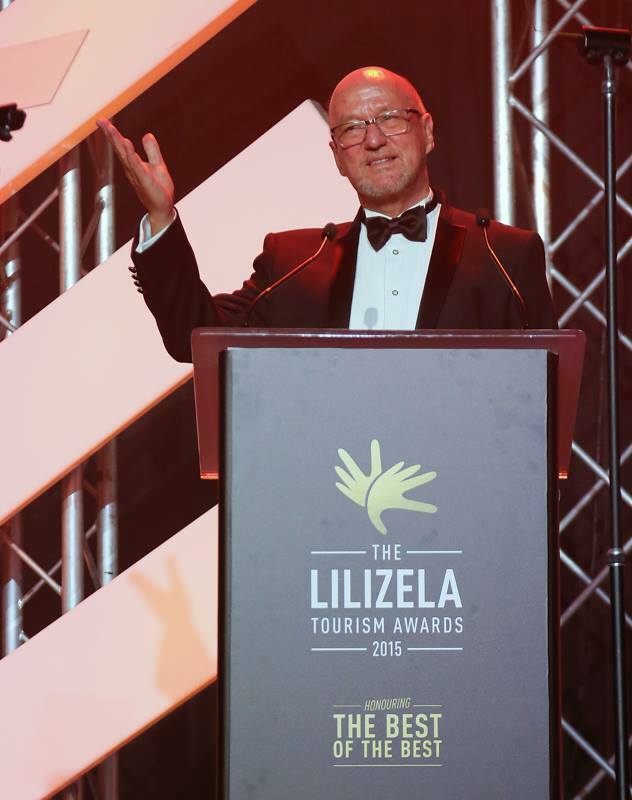 Grant Thornton were appointed as the independent auditors for this year’s Lilizela Tourism Awards. Recipient of the Minister’s Awards – Lindiwe Sangweni-Siddo Managing Director of Birchwood Hotel. 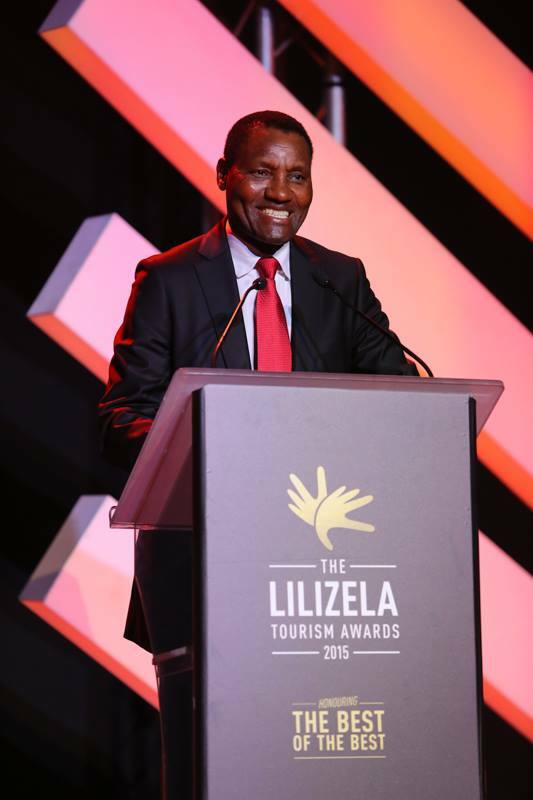 The Mpumalanga Province announced the names of the provincial winners of the 2015 Lilizela Tourism Awards. 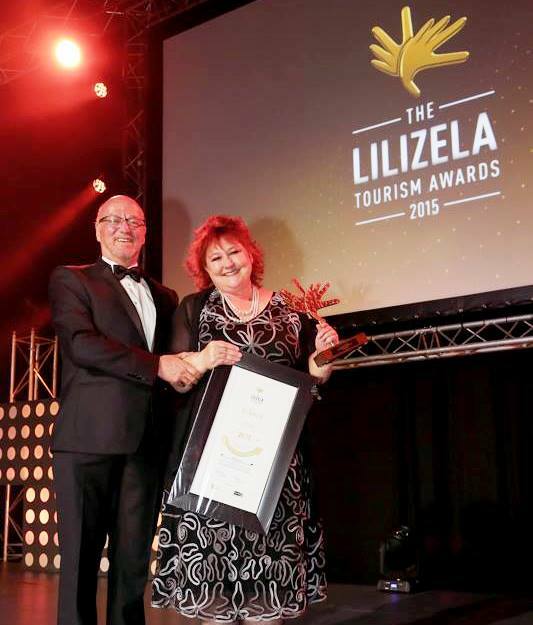 The announcement was made at an awards ceremony held on September 8, 2015 at Emnotweni Arena in Mbombela where all the province’s finalists were publically honoured for their contribution to service excellence and quality assurance in the tourism industry.